In an early announcement, Paramount Home Media Distribution says Jack Reacher will hit Blu-ray and DVD on May 7. The film was directed by Usual Suspects writer Christopher McQuarrie and offers a fast-paced, intense plotline with Tom Cruise at the helm and Werner Herzog taking a pretty big role. The film itself has a lot of pros and the Blu-ray release, especially, will offer even more reason to watch. While Blu-ray and DVD copies will hit the market on May 7, early birds will be able to catch the film in April, thanks to an early digital release on the 23. If you want to stick out the wait and check out the bonus features with the set, you’ll be able to do so, but only with Blu-ray copies. DVDs will come with the film only. 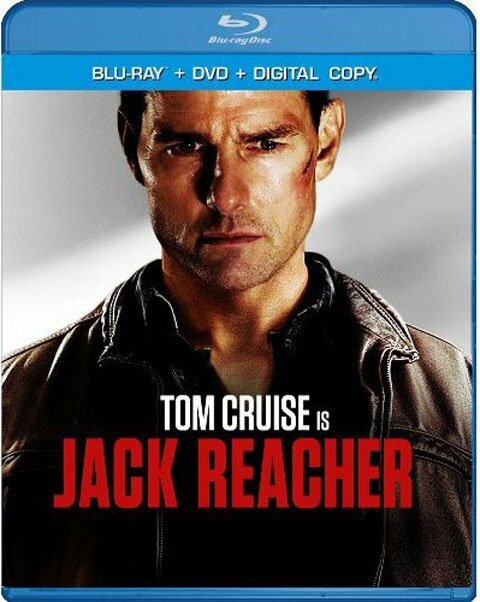 Blu-ray copies, on the other hand, will offer a slew of extras, including multiple commentaries and a segment on the weapons and skills Reacher uses in the film. Additionally, UltraViolet will be available with the set. Jack Reacher is based on a series of highly successful books by British author Lee Child aka Jim Grant. I know it seems pretty strange for a British author to be writing about an American military policeman and man of mystery, but the books are great and the film, while offering a different feel than the books, is great, as well. Plenty of readers have complained about Cruise's casting (and short stature), but Jack Reacher is still a pretty slick and uncomplicated movie that's a whole lot of fun to watch. If you get the chance to catch the film, whether it be digitally or via a physical copy, I highly suggest you give it a shot. Check out the full list of Blu-ray extras, below.